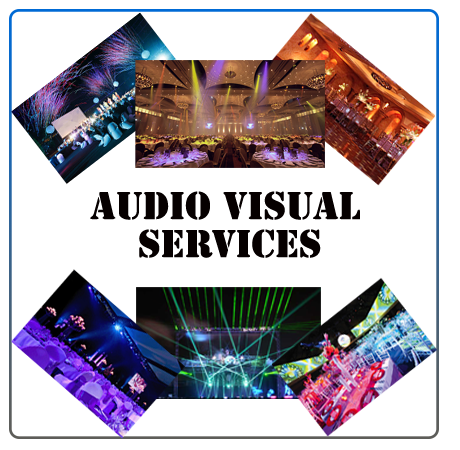 Metro DC AudioVisual © is the market-leader for audio-visual equipment rental, staging and productions across Washington DC, Maryland & Virginia, servicing the Corporate, Conference and Events industry. From our 10,000 sqft warehouse and offices we can provide you with an extensive product range and technical expertise with a comprehensive 24-hour service. Our stage rental department have been providing creative, flexible and safe portable staging rental and tiered seating solutions to a vast array of events and productions for over 8 years. Whether you need small stage rental for a private party, camera risers for film sets or bespoke structures for festivals, we are experts at providing staging for rent that's right for you. We have a range of plasma and LCD screens with sizes from 18-100 inches, and are suitable for all venue types and audience sizes. Accessories available include, floor/table stands, side mounted speakers, PA Speakers, wall mounts and plasma trolleys, cables for laptops, DVD Players and Macs. Plasma and LCD screens are an excellent choice for weddings and corporate events, our FULL HD 1080p LED screens are great for displaying a range of visuals and DVD mixing. We simply offer unrivalled projector rental services in DC Metro, MD, VA. We have a vast stock of projectors, catering for everything from desktop use for a presentation or conference to a full rear projection system for larger events such as conferences fashion shows and live outdoor events. Metro DC Audio Visual will advise the best solution for your event, as there are many different options and ways to gain the desired effect. Metro DC provides the latest LED screens rental as part of a range of integrated broadcast and communications solutions for sports, music and corporate events in Washington DC and throughout the country. Our extensive range of LED screens, technical expertise and wealth of experience ensures we deliver a prompt, complete and professional service to our clients. 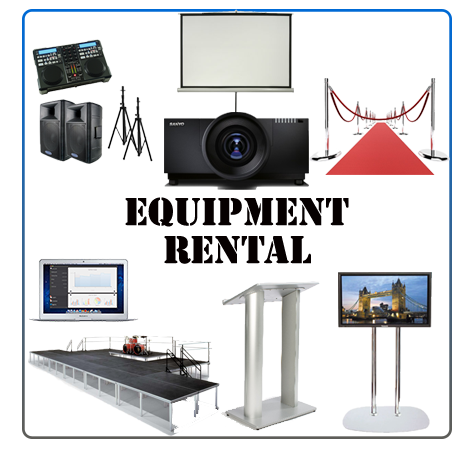 We carry Pipe & Drape rigging systems for hanging drapes, sheer, starlight wedding cloths, blackout cloth or any light weight fabric. By using pipe & bases, Drape can be rigged from ground height and extended as high as 17'. Pipe & drape systems eliminate the need for rigging points in your venue and save on space, as drape can be safely rigged to sit right against walls. We carry Stanchions and red carpet for rentals. Either you need stanchions and red carpet rental for a fashion show, store grand openning or trade show, Metro DC can provide any kind of stanchions to fit your needs. Metro DC Audio Visual provides short term laptop rental and long term notebook/ Macbook leasing in the US. Laptop/ Macbook rental is available on a variety of terms, from daily / weekly laptop rental to monthly laptop leasing and more. If you need to rent a laptop or rent a notebook computer then we have a range of exciting solutions for you. Recently, we renewed our laptops inventory to include only up to date laptops. Metro DC Audio Visual provides full service podium and lectern rental service to the DC Metro, Maryland and Virginia area. We stock Lucite, aluminum, wooden, adjustable, and PA system-intergrated podiums. We can deliver a podium or lectern to your venue and set it up for as many days, weeks, or months you may need. Copyright © 2013 Metro DC Audio Visual, All rights reserved!